With this news of a 'meltdown' by JP Morgan's CEO Jamie Dimon over Bitcoin, we are finally starting to see the old guard crack. I remind people all the time that The Matrix is my favorite film of all time. Often the way I view MLM differs from my peers. I See MLM as a game changer, and for that reason it has been met with fierce challengers and criticisms. Some of the criticism is deserved, and the same can be said about Bitcoin. Because we aren't 'just' talking about bitcoin anymore, but an entire space of disruptive technology. The cryptocurrency space cannot (and should not) be ignored. 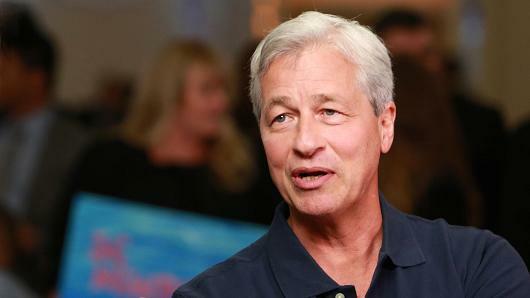 Jamie Dimon from JP Morgan isn't ignoring them... just what does his recent meltdown mean? Ran across this video from The Wealth Watchman, about the 'real reason' to diss bitcoin - and felt like sharing it with you here as well in case you have not seen this. The Banks and several of the Old Guard are afraid of bitcoin and what it means. The more you come to understand blockchain technology and the 'open ledger' the more you can appreciate it. They are removing the need for a middle man to verify our transactions with one another. This is immediately taking them out of a position they've held for centuries. If any of us thought they'd go quietly into the night, we have not been paying attention. There are still a lot of 'moving parts' as the space continues to grow and evolve. Jamie Dimon is more than likely investing in this himself. We have to be careful when listening to people like this making these kinds of statements. Most likely they want the masses to stay out of the market, so they can buy up more of what's there to buy. Always "follow the money" to understand people's motivations. Clearly his statements expose that he knows the value of this 'new form of currency'. This is a 'game of thrones', and people will fight to hold on to what they feel, belongs to them.